Slightly different from the Combine block, the Mapped Combine allows you to take two tables with the same underlying structure but different column names, and combine them together using a visual column mapper. 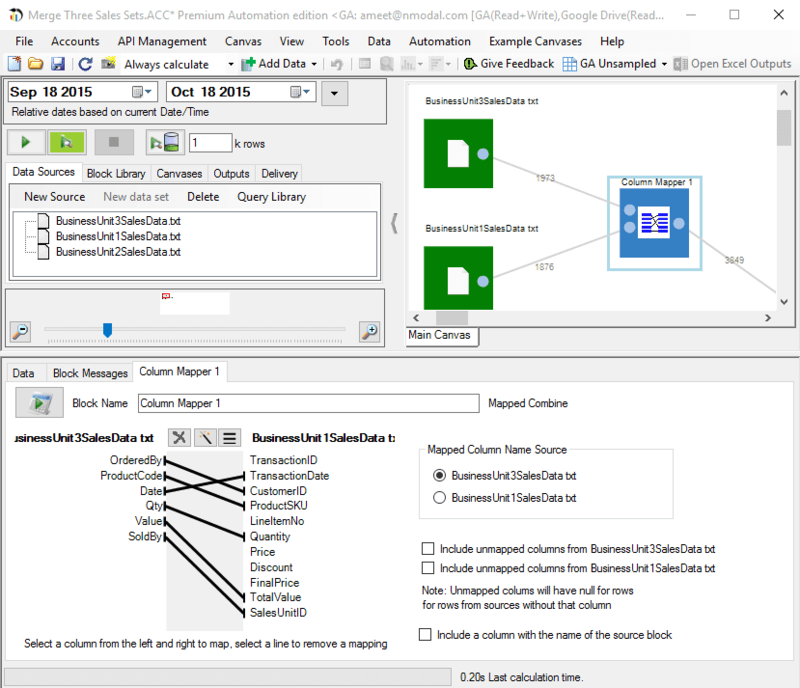 This technique allows the analyst to bring in raw data and perform all of the processing required by defining the rules within Analytics Canvas. Once the blocks are in place, the process can be repeated without manual intervention by the analyst, allowing them to focus more time on analyzing clean data, and less time on data preparation. Step 1. Select Mapped Combine Block from the Block Library and drag and drop it onto the Main Canvas. Step 2. Connect the block to the two datasets. Step 3. Click on the column names to establish column mapping. Step 4. Select which table provides the column names. Decide if you want to include unmapped columns. Step 5. Click on the output stub of the Mapped Combine Block, and use Data Viewer to ensure your datasets are combined correctly. You can download a free trial of Analytics Canvas to follow along with the video.